Keep your training department and its customers knowledgeable by avoiding the Top Ten Training Myths. Training departments are sometimes viewed as being out of touch with the rest of the organization. Because of this, beliefs or myths about training, its functions, and its results tend to develop both within the department and outside it. To keep your training department and its customers knowledgeable, avoid these ten training myths. One: If training content is exactly the same each time, each group of participants will end up with the same knowledge. We can take every precaution to make sure training is delivered exactly the same every time – it’s a good practice and will maintain consistency. But remember that adults learn differently. Your learners will “hear” different things, focus on different aspects of the material, and lose focus at different times. Don’t promise managers that everyone will know the same thing. Instead, give them an overall picture of what is covered in the material. Two: Training is the solution for all business problems, including employee performance. There is a tendency in many organizations to blame the training process for organizational problems. Your job is to dispel this myth by conducting research when there is a problem. Some dysfunction could be related to the employee, a manager, or even a process. Determine what could cause your organization’s problems and be ready to analyze them – but don’t give in to the myth that simply by delivering training you’ll solve the problem. Three: All training results can be qualified in ROI (Return on Investment). If you need to prove your worth through ROI, start with the things that can be quantified, like reduction in errors or cost of training. When you deliver soft skills training, it’s very difficult to quantify the results in dollars and cents – and you should remind your stakeholders of this myth. Four: Any trainer can design training. There are quite a few myths related to who can actually work in training. To begin with, not everyone can deliver training effectively. In that regard, not all of your instructional staff will be able to design training courses. A potential training designer must have an excellent sense of order, appealing design, and understand adult learning concepts. When you look for this in a person, you will find it. When you assume that because they are a good trainer, they will also be a good designer, you will be disappointed. Five: Anyone can be a trainer. Just because an employee is a great salesperson does not mean that he or she will be able to teach others how to sell. A potential trainer must have an innate ability to teach and coach without alienating or making an employee feel uncomfortable. It’s not wise to blindly pull people in to deliver training – examine their true ability and you will pick the winners. Six: We do not need anything more than new hire training. Some industries have major turnover in frontline positions – in those situations, new hire training takes a very important role. But what about the people who stay? Do you offer them anything to help make the next career level? Do you offer recurrent training, other than what is required by the company or by law? The answer should be “yes”. Develop programs that motivate and inspire the new hire as well as the balance of your staff and you’ll be able to retain those employees who’ve stayed with it. Seven: Elearning is a babysitter. Back in high school, reel-to-reel films, VCR tapes, and even DVD’s were sometimes used to “babysit” students. This is not the case with elearning. Elearning is a viable, powerful tool to reach employees. You’ll be surprised at the number of people who will retain new material from an elearning intervention. If your organization does not yet support elearning, promise them you’ll get results. With well-designed and well placed elearning programs, you will. Eight: Employees don’t mind taking training on their own time. Most employees, from the frontline to managers, do not like to take training on their own time. Managers willingly do it because that’s what they’re expected to do. Offer training during working hours, even if the hours are not a typical nine to five schedule. If you expect employees to take courses outside of their normal hours, be prepared to pay them. Nine: If you build it, they will come. A training center with state of the art technology is not enough to pack your classrooms. However quality training and good word of mouth is enough. Before you build or refit a training center, examine the quality of your training first. When all of your training is high quality, only then consider upgrading your facility. Ten: Elearning is going to put classroom trainers out of a job. 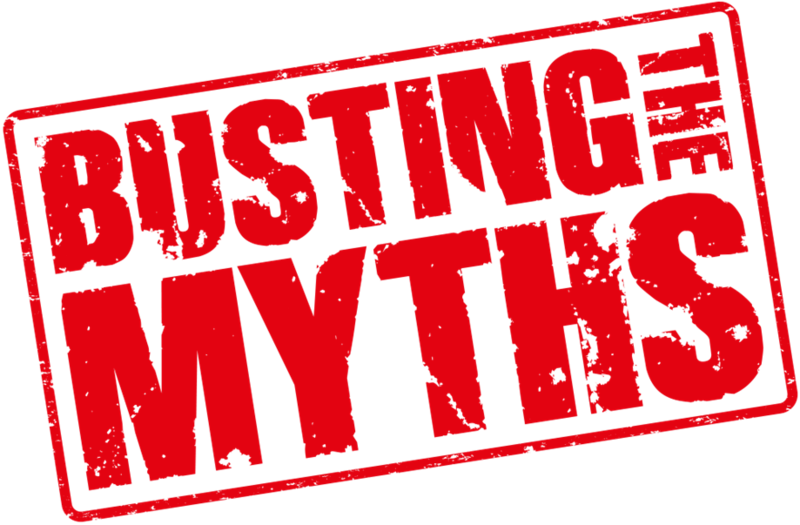 This myth has two sides: trainers, who are afraid, and purse-stakeholders, who are hoping it’s true. Why pay trainers when we can deliver everything online? This is a dangerous myth. Elearning must deliver suitable material. It’s that simple. As long as real people are doing your jobs, you will need classroom training to establish relationships, coach, and give real-time examples. If you avoid and dispel these myths, your training department will gain credibility and your management will support what you do.